Increasingly, many women are finding leadership positions within the casino industry. For example, some of the major casino companies in the United States have practices that encourage the hiring of women executives. 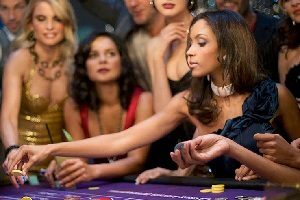 Examples of casinos who hire women include MGM, Caesar’s, Station Casinos, and Wynn. However, the casino companies still have a long way to go as an executive at the Station Casino group pointed out. Many of the casinos do not have childcare facilities for executive employees, nor do they have a comp or flex scheduling for working single mothers. However, casinos have made some strides with regard to gambling. Two resorts in Las Vegas have appointed women to its board of directors. Caesars Entertainment has a woman on the board, and the Wynn Resorts have three. 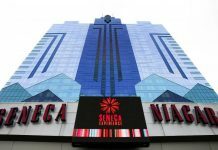 The women on the board of directors, as well as female executives have asked the casinos have added maternity and paternity leave, as well as rooms for breastfeeding mothers. Female casino executives say they still have a way to go. Harris is the Chairman of the Nevada Gaming Board, which is arguably the most powerful board that oversees gambling in the most profitable state. She is a lawyer, and served time in the Nevada Legislature. She is one of the most powerful women in gambling today. Her job includes oversight of all gambling in the state of Nevada. In fact, there are eight people that make up the Nevada Gambling Control Board, and three of them are women. 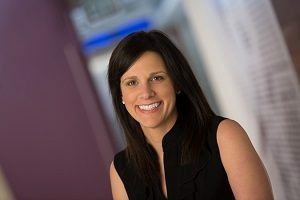 Sara Slane is the Vice President of Public Affairs for the American Gaming Association. Prior to taking a position with the largest lobbying group on behalf of the gambling industry, Slane was an executive with MGM. Slane is credited with helping to write legislation for states who wanted to legalize sports gambling. Sports gambling had been illegal in nearly every state in the US from 1992 until May of 2018. In May, the Supreme Court ruled that states had the right to decide for themselves if they wanted sports gambling. The main reason the Supreme Court ruled in favor of the states was that the states (such as New Jersey) argued that the Constitution allowed the federal government to control interstate commerce. However, the federal government did not have the power to control commerce within the states. 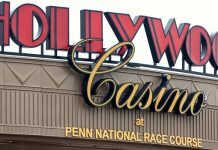 New Jersey successfully argued that because they were only seeking to have sports gambling in their states, the government had no right to stop them. The American Gambling Association with Slane as executive helped states to draft legislation that could pass legislatures and the industry is set to boom in the next few years. It is estimated that as many as 25 states will pass legislation legalizing sports gambling in the next five years. Since the illegal gambling market is estimated to be over $175 billion a year, it is hoped that women will continue to lead the progress towards additional gambling revenue in the states. If women can continue to move into executive and government positions, it is safe to say gambling will not just be a man’s game anymore.